Hold the bow horizontal to the ground. Square your body at 90 degrees to the target, feet balanced. Load the arrow onto the string of the bow with the single colour feather facing you (there are 3 feathers, one a different colour). Turn to face the target using your neck, not your body – that stays at 90 degrees. Close your left eye (right eye if left-handed). Your fingers must not touch the arrow, but should be half a finger width away from it. 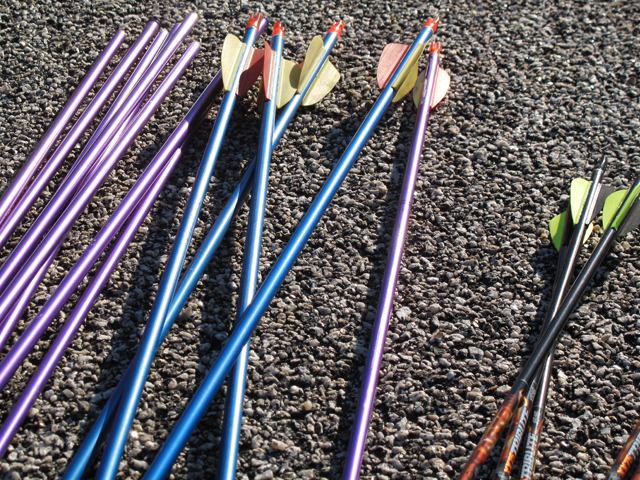 Pull the string back, looking down the tip of the arrow to the target. Your fingers should gently graze your temple beside your eyebrow as you release the arrow. This approach led to everyone hitting the target first time regardless of size, age or strength. That’s when I realised that this sport is all about technique, and that the cows were safe after all. The next step was to refine our aim. So if by aiming for the bullseye, you naturally veer to the right, for example, you aim to the left by the same distance to ‘autocorrect’ your aim. Gradually there were more and more bullseyes and fewer arrows flying off into the turf next door. Confidence and camaraderie grew until Mark decided we would start scoring our shots. In theory, this was about beating your personal best. In practice, this is where it got competitive. I was delighted to score 120 (even hitting the inner rings of the target was a personal triumph and I have the bruises to prove it). The highest score was 130 by left-handed Simon, who found his form in the final minutes after beginning the session as a poor right-hander. A double bullseye by gentle Jane, who couldn’t even find the target until she put her glasses on, was highlight of the day. This lady is a natural archer, and if you were a deer, you’d be leaping off to the nearest copse in fear. The Olde House has 30 three-to-five star cottages and offers free activities to its guests, Monday to Thursday at 9.30am during standard school holidays. 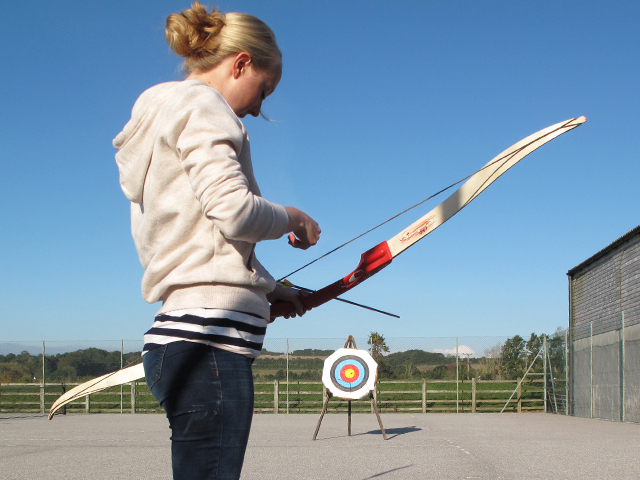 These include falconry, archery, pond-dipping, a tractor ride around the farm’s 550 acres and a weekly barbecue. 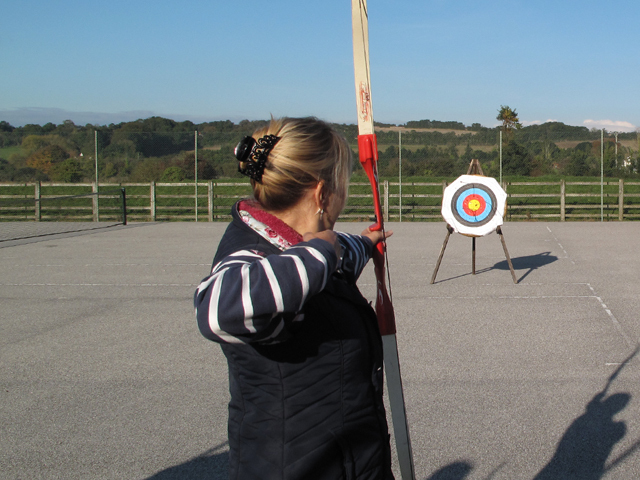 Archery is for adults and older children, and requires booking at reception; the tractor ride and barbecue usually take place on Wednesday afternoons. For more information call 01208 813219 to book or visit theoldehouse.co.uk.